Everyone in the small town of Denton is searching for Isabelle Coleman, a missing 17-year-old girl. All they've found so far is her phone and another girl they didn't even know was missing. Mute and completely unresponsive to the world around her, it's clear this mysterious girl has been damaged beyond repair. 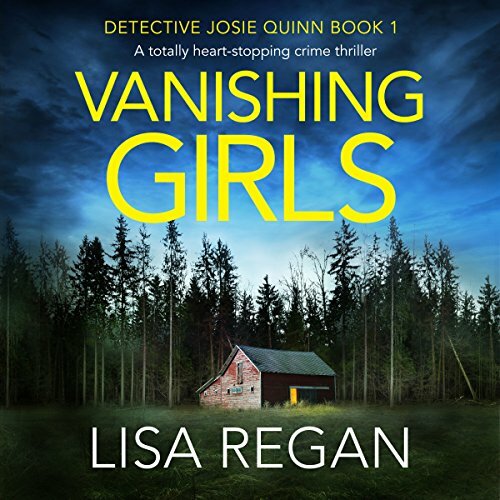 All Detective Josie Quinn can get from her is a name: Ramona. 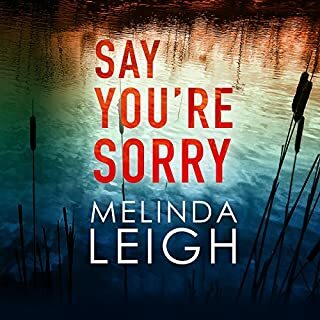 Fans of Angela Marsons, Helen Fields, and Robert Dugoni will be utterly gripped and listening long into the night once they discover the first in this unputdownable new crime thriller series. I've tried to listen to this book for days. I'm going to stick it out because I want to see how badly the bad guys lose in the end. But that narrator....I just read the other reviews so it's not just me. Frankly, she sounds like she's ignorant. Most of the pronunciations that she destroys has nothing to do with locational accents. They're plain bad English and lack of grasp for speaking it correctly. "Massage" becomes "maaaasage" with a looonng a like baaaaa goes the sheep. So much more. Any of this by itself would pass me by. When it goes on and on, it becomes very annoying. Top it off with a lisp. Where do people speak this English? I wrote an author once to tell her how much I loved her books but hated her narrator. She told me she had no control over the narrator. The book company who owned her audiobooks made that decision. If I were a successful author, I think I'd make sure I had some control because a bad narrator can ruin a book. This one would be doing herself a real favor. 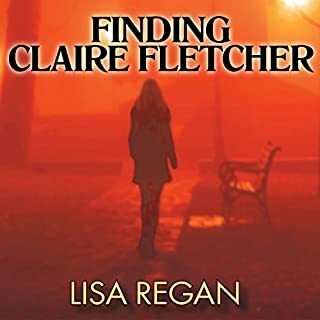 So today I wrote Lisa Regan, author of this book about how I loved her books, but couldn't take this narrator. She responded immediately that future books will NOT be narrated by Eilidh Beaton and they have a different narrator. Good news! The narrator is distracting from the story and that's the last thing that should happen. I actually listened to the second book in this series first. This author is new to me, and I like her books so far. However, I’m not sure I can continue to listen to them. 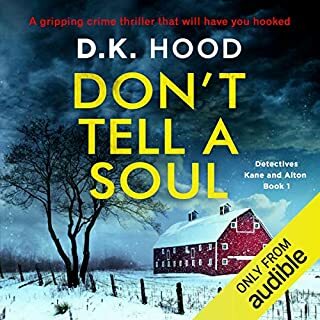 This narrator is one of the worst ones I’ve heard, and I’ve listened to a lot of audiobooks. I’m guessing she’s from another country, judging by the way she mispronounces so many words. For example, the state of Maryland was pronounced Mary-land. Estrogen was east-rogen. Record, as in “for the record” was Rec-CORD. Ugh! Those are just a few examples. I almost can’t stand to listen to her! And the way she talks makes the characters come off as very aggressive. I’ve found myself cringing multiple times while listening to her narrate. It looks like I may be reading the other books in this series. So best of luck to those who decide to listen to this story or any other in this series. In addition to making the characters sound hostile and condescending during every single dialogue exchange, the narrator also mispronunces every other word. I did some research and discovered she is Scottish, but she (unsuccessfully) attempts an American accent in this series. I would have preferred she just read it in her normal voice, because listening to her butcher word after word is painful. She is unable to correctly say simple words like “been, “record,” and “saltine.” I recommend just reading this on kindle, because it truly is a great story. Beware! Story would have been really good,but NOT the narrator!! I've just started listening and I'm not sure I can finish! This narrator is AWFUL! So very distracting. I cringe every time I hear "been" pronounced as "bean"...or "eat" as "et" just as some examples. Her pronunciation of so many words are so off its almost funny. Too bad she narrates all the books in the series. I doubt I will listen to any more from this series. Before purchasing, I STRONGLY suggest you listen to the sample. Terrible terrible, and yes TERRIBLE, narration!!!!! 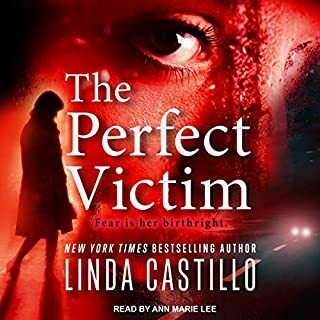 ++++update+++++ ok...I stuck it out despite my constant eye roll for the narration, but this was actually a very good thriller/mystery. I give it 4+ stars for the story. 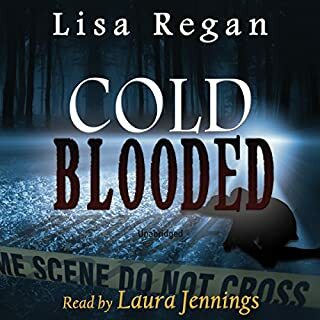 And I will go ahead with book #2....I figure I've gotten used to the narration so I might as well persevere rather than wait and have to adjust to the narrator again :)......not sure I could! I would recommend reading the series. The characters and story are quite well constructed. Things run at a fast pace and keeps you guessing. The dialogue is the only draw back at times feeling strange, it is used to explain situations rather than well written descriptive text. Hopefully the author will develop as the series continues and move up to 5 star's, but an encouraging beginning. I have to disagree with the reviewer who thought there was too much swearing .. it was little and appropriate and I have seen and heard much more on TV. Great book but the narrator was terrible which wastes it a bit. If u can get over that though I’d recommend it. Weak story boring narrator but held me just enough not to return it, as it has had good reviews but I was disappointed in the end. The characters are all similar to ones we have seen before with some quirky additions. The story is interesting, without being outstanding. Don't get me wrong. I enjoyed this book as I really enjoy this genre and am looking forward to book two in the series. loved it Couldn't put it down as there was so much happening in the storyline you had to find out what was going to happen next.